Is it normal to invade the child`s personal space in social networks? Statistics in Canada show that at least 20% of young Canadians aged 15 to 29 have been cyberbullying 1 time or more in recent years. Statistics look frightening, and it is not surprising that adult citizens of the country pay attention to the problem and they are actively fighting now for safety of their children Internet presence. Intuitively, most parents choose the way of spying for children in social networks, trying to protect them from harm personally. Fortunately, there are enough programs that allow you to monitor the computer and mobile devices of another person remotely.But such behavior is a violation of general human rights, whatever one may say. Do adults have the moral right to do this? An experienced child-rearing specialist will tell you what you can. The thing is that spying here is a very inaccurate and catchy word. You are not James Bond, and your child is not Blofeld, who’s seeking to destroy the world directly from his phone. It is correct to apply to this situation the concept of observation, when the parent is not present explicitly in the child’s personal life and does not exercise unnecessary pressure on any occasion. Yes, accordingly, the problem of parents in a distorted understanding of the situation. As a result, the conditional culture of tacit supervision is reduced to paranoia most often because of this. Adults need help to be effective, and not dangerous to child’s emerging personality. 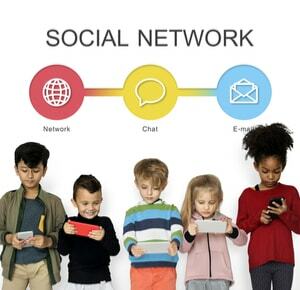 When a child can start up the accounts in social networks? Everything depends on the individual situation and it is not necessary to drive them into the framework. It is better, from an early age, to emphasize in an open dialogue what they will face in the future processes of socialization. Of course, at an early age you will give the final permission. To do this correctly, refer to the fact of registration as a child`s trip to the store. You suddenly felt that the child is able to go to the store himself? Hence, in the same way evaluate it in the context of registrations. And even if the desires of the child appear too early and start to go against your idea of a suitable time, it is better to find a way to support kid. If you can’t explain clearly, that it is too early for him to attend, then at least openly participate in this process. It`s better than if the child is engaged in the devil knows what`s behind your back. The idea is not to put pressure on the child. The main thing is to be on the same side with him. And so you will see all his presence almost completely without tweaks (to control the correspondence you will then need spyware, but not right now immediately). The good first move is to make your own account at the same time with the kid. Become a “friends” immediately and this will add confidence. You are a friend now, not a tyrant or warden. Now you can quietly stay in the background and watch for child. And do not press using the list of rules. Start with a few basic positions and, if necessary, develop this topic in the right direction. You may not like what the child does in the social network then. This is due to the lack of a culture of using free space for communication, and not the desire to harm. For example, a child will begin to retell an unpleasant moment from family life. Of course, you do not need it to be in sight. But you cannot punish a child right away; you need to start a dialogue about the causes and consequences of such actions. If you observe the actions of the child on the Internet, explain to him the basics of behavior. Does your kid register somewhere where you need to leave personal data? Explain why this is bad and can lead to problems. And offer him an alternative. Make it clear that this information will then be easily used by bad people. And that unscrupulous people exist, everyone will have to face them in life. And we must be ready for anything. © 2012-2018 top10spyapps.com » Posts » Blog » Is it normal to invade the child`s personal space in social networks?